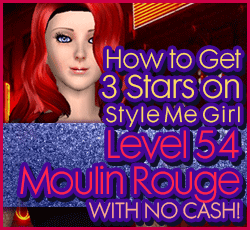 How to Pass Style Me Girl Level 54, "Moulin Rouge," & Get 3 Stars Without Cash Items! | I Style Me Girl! 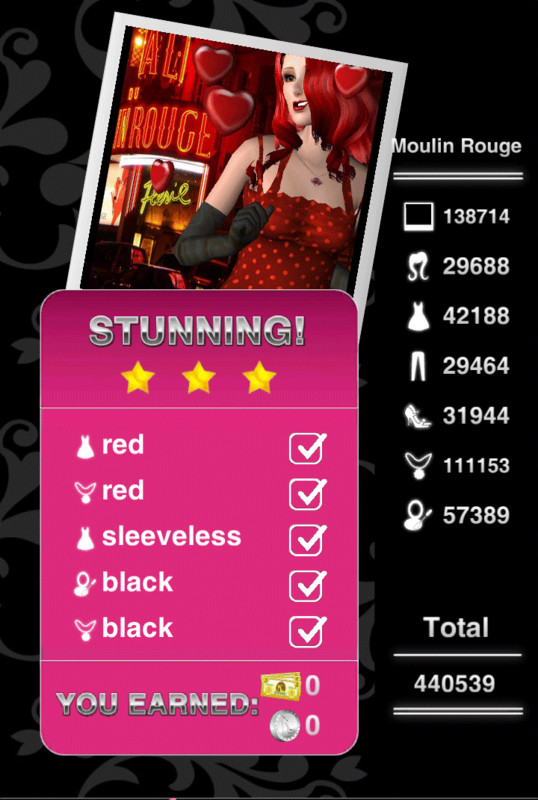 How to Pass Style Me Girl Level 54, "Moulin Rouge," & Get 3 Stars Without Cash Items! The theme is "Moulin Rouge," in Style Me Girl Level 54, so I thought love and red when styling model Lina. I came up with a look that is full of both love and red, that earned three stars, without using any cash items! If you would like to know how to pass Style Me Girl Level 54, "Moulin Rouge," and get three stars without cash items, keep reading! The items I used to pass Style Me Girl Level 54, "Moulin Rouge," and get three stars are described and shown in the list below. The "Closet Items," screen capture can be clicked to view a larger more detailed image. I did everything and it work thanks!